In earlier studies, researchers noticed that when a woman develops ovarian cancer, her sister faces a higher risk of also developing the disease than her mother, an observation they found difficult to explain. 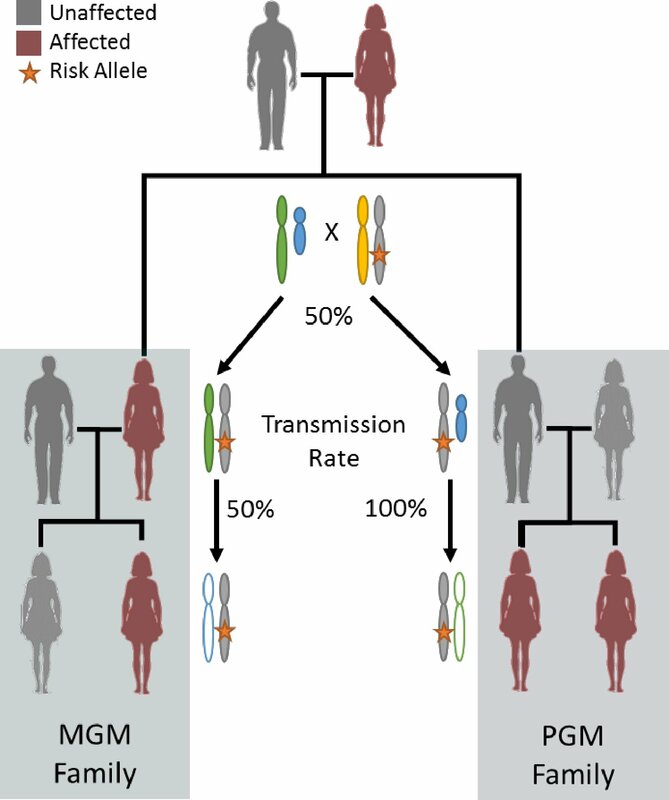 This observation led Eng and colleagues to investigate whether genes on the X-chromosome, potentially passed down through the father, may contribute to his daughters’ risk of ovarian cancer. The study proposes that a gene on the X-chromosome may contribute to a woman’s risk of developing ovarian cancer, independently of other known susceptibility genes, such as the BRCA genes. Future studies will be needed, however, to confirm the identity and function of this gene. This observation suggests that there may be many cases of seemingly sporadic ovarian cancer that are actually inherited, and may lead to improved cancer screening and better genetic risk assessment.